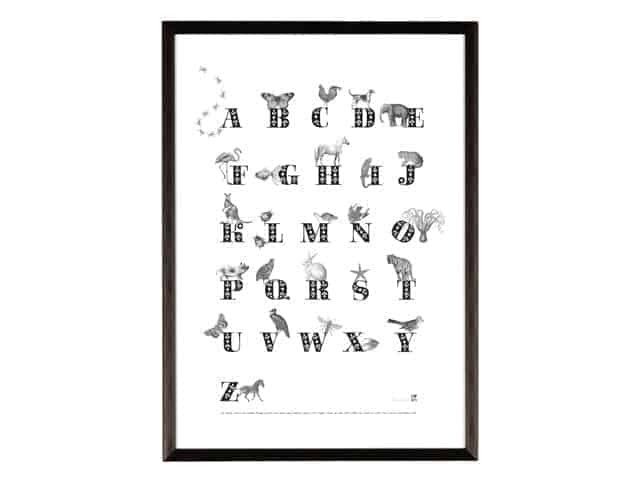 A lovely print for baby or child to learn their ABCs ; this this Animal ABC Print is both beautiful and educational. London illustrator Ros Shiers designed and signed this open edition digital print therefore each one is unique. 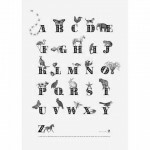 Vintage wood carving illustrations of animals depict each letter. A is for Ant, B is for Butterfly, C is for Chicken, D is for Dog, E is for Elephant. F is for Flamingo, G is for Goldfish, H is for Horse, I is for Iguana, J is for Jaguar. 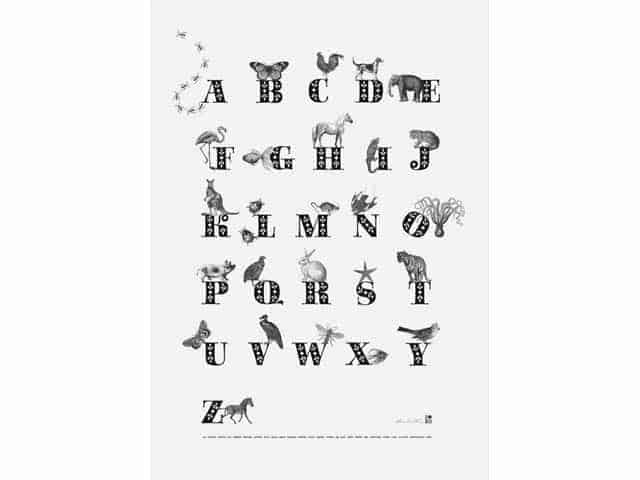 K is for Kangeroo, L is for Ladybird, M is for Mouse, N is for Nightjar, O is for Octopus. P is for Pig, Q is for Quail, R is for Rabbit, S is for Starfish, T is for Tiger. U is for Underwing, V is for Vulture, W is for Wasp, X is for X-ray fish. Y is for Yellowhammer, Z is for Zebra.